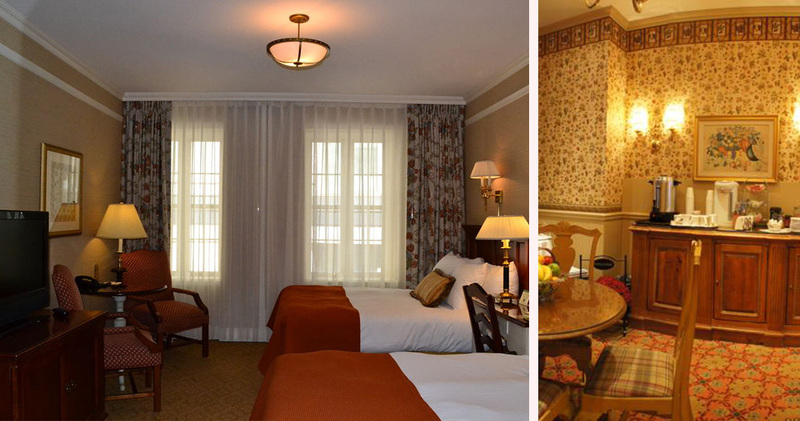 The Wall Street Inn is an intimate and charming hotel in which guests can relax amidst elegant surroundings. 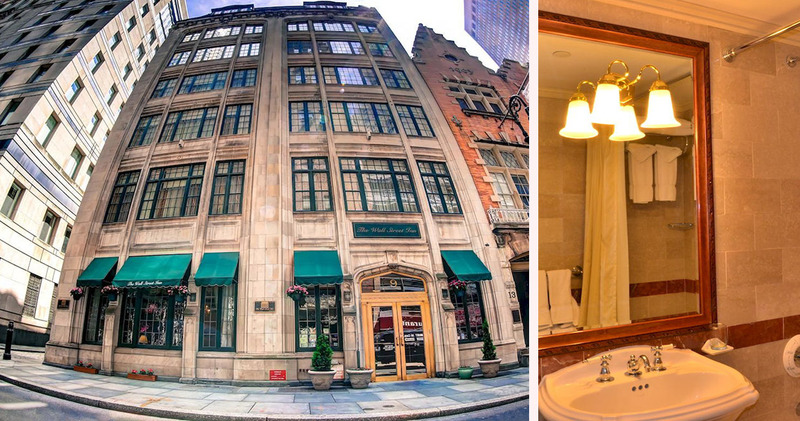 Located in the financial district, Wall Street Inn is close to the restaurants and shopping destinations of lower Manhattan. 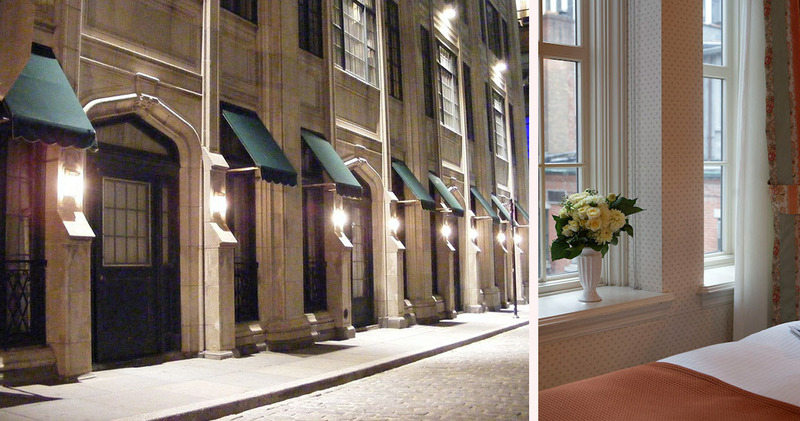 The hotel is located in a quaint cobblestone street in a beautifully restored limestone building. The site of the building was used as far back as 1660 initially as a synagogue with the present building completed in the 1920’s. The current occupancy as a hotel was completed in 1999 with a full modernization of the building including modern amenities. 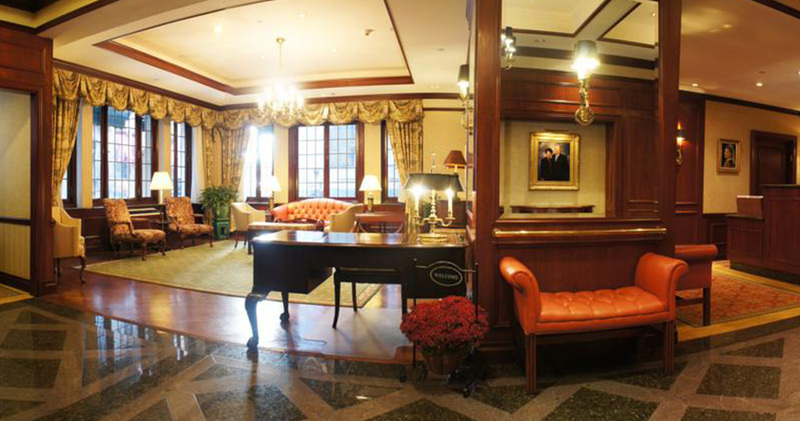 With its lead-paned windows, brass chandeliers, wood paneling and charming décor, stepping inside the lobby of the Wall St Inn is like stepping back in time. The lobby’s atmosphere is quietly inviting, offering guests a pleasant space in which to sit and relax in comfortable wing chairs. The friendly breakfast room serves complimentary breakfast, and tea and coffee is available throughout the day. 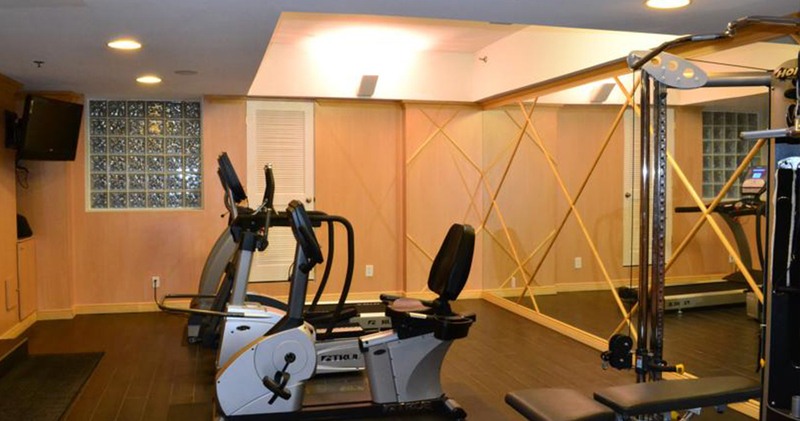 The hotel also has a revitalizing steam and sauna room in the fitness center. 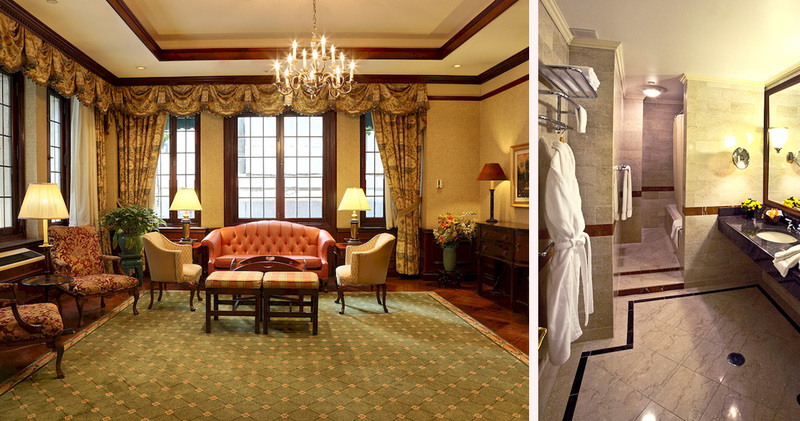 Wall Street Inn NYC has 46 delightful guest rooms dressed in early American decor. 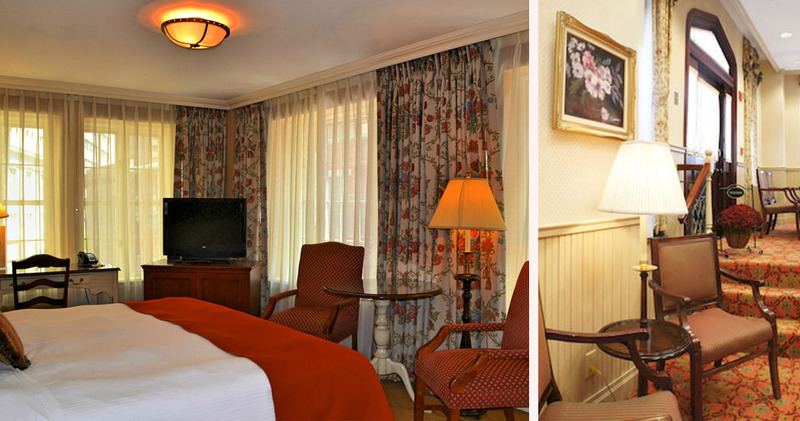 With wooden headboards, floral curtains, rich colors, elaborate framed mirrors and touches of gold and copper, the guest rooms are quaint, charming and comfortable. Spacious work desks and relaxing chairs add to the comfort, and the elegant bathrooms, with their pedestal sinks and marble tile baths, are the icing on the cake. The Deluxe Rooms at Wall Street Inn include extra features including a sleeper sofa, separate seating area and a private Jacuzzi. Guests at The Wall Street Inn can enjoy in-room dining from the premier Sorgas Chef restaurant serving Scandinavian food. There are also several excellent restaurants around like the elegant Delmonico’s and the fine dining India House restaurant.